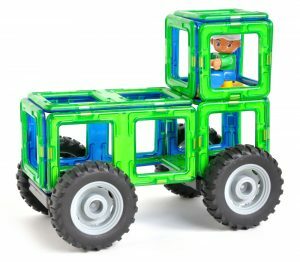 Our Magbuilders Farm Set is great for imaginative play for your little farmer. 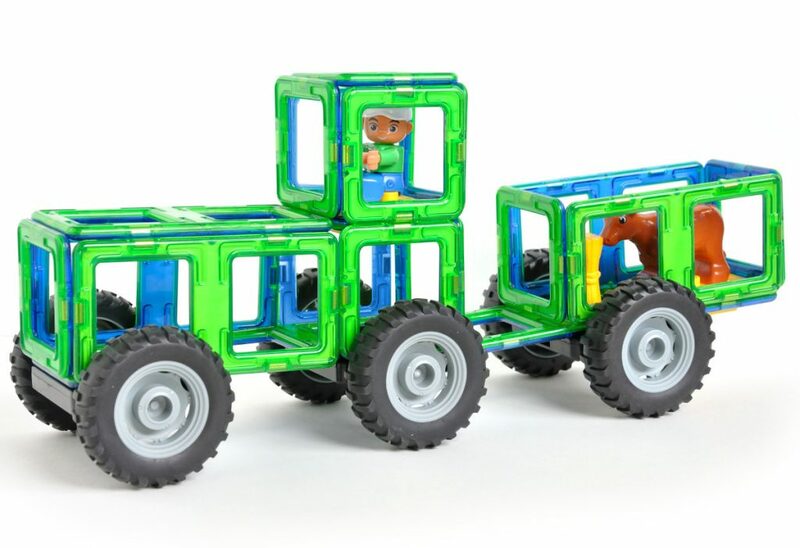 You can build a blue or a green tractor with our set, depending on your preference! 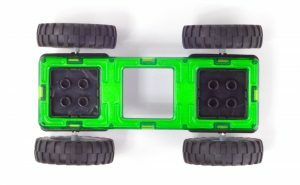 First, use one of the long rectangle pieces to form the base of the tractor. Next, form the hood and the cab by first laying out the pieces on the ground and then folding them into shape. 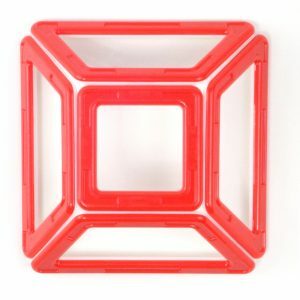 Then, use 9 squares to complete the cab. Don’t forget to put a yellow base in one for the farmer’s seat! 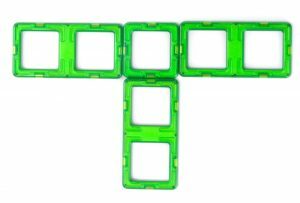 Next, use the other long rectangle piece to form the bottom of the trailer and create the walls as shown. 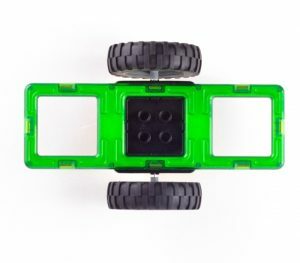 Then, you can place the remaining yellow base on the bottom of the trailer to secure the animals as they ride around on the farm! You’re finished with the trailer now. You can fold down the gate in the back and walk the animals in for their journey. The barn we’re going to build is fairly simple, it consists of three full walls and an open roof with swinging doors for each stall. First, form the roof using the isosceles trapezoids and a square. Then, lay out and form the walls as shown. Note: The lower section of the back wall is made with two squares instead of a rectangle to help form the stalls. 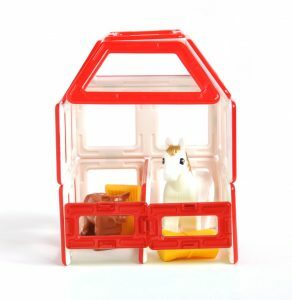 After placing the walls upright and placing the roof on top, use the final rectangle piece in the middle of the barn to form the two stalls for your animals. And, don’t forget the doors to keep them from getting out! You’re finished. Now don’t get too worn out working on the farm all day!